Menorca is by no means a party island but there are several amazing places to go and have a nice, relaxing drink. One, in particular, is the cave bar Cova d’en Xoroi, a must visit on the island for its amazing views over the Mediterranean. The cave has been turned into a bar offering snacks and drinks during the day, music and occasional live performances in the evening and turns into a disco in the later evening. For those who might find this a bit too lively, there are some lovely beach bars around the island in stunning locations. It is also equally as enjoyable to sit at one of the many bars in the port of Mahon and Ciutadella and watch the world go by. 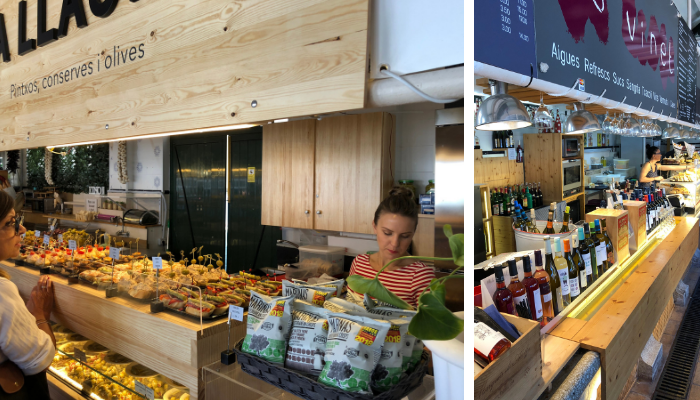 There are wine bars and cafes by the food markets in both towns too. 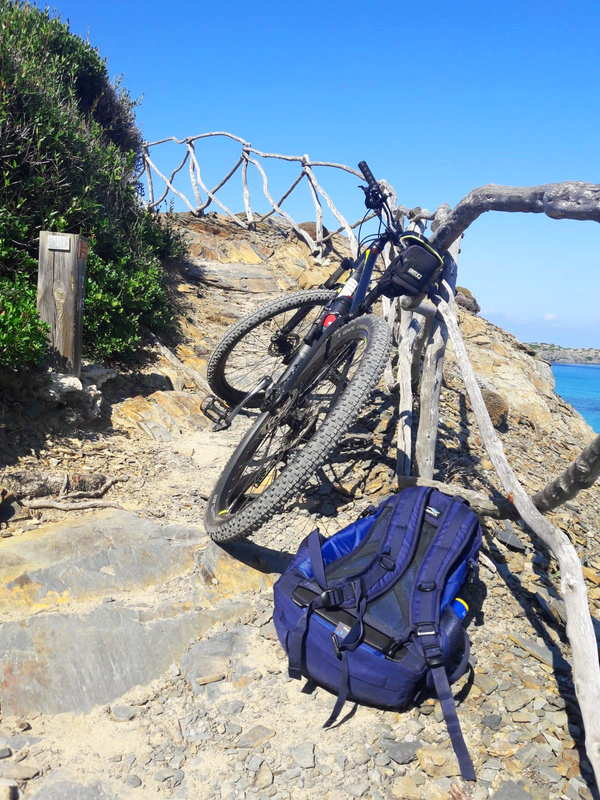 Avid cyclers or not, we highly recommend hiring a bike for a day or two to explore the island in a different way. Menorca is great for cycling, choose from a selection of routes suitable for different levels of fitness and experiences. Discover the beautiful countryside with gently rolling hills or bike along the south or north coast and witness the variety of scenery. If you’ve not been to the island before, it’s best to ask where the best routes are suited for your level of experience. The sea that surrounds Menorca is simply stunning and one of the best features about it is that it’s very tranquil, which means it’s a paradise for water sports enthusiasts. The water is at a pleasant temperature which makes it even better for water sports. 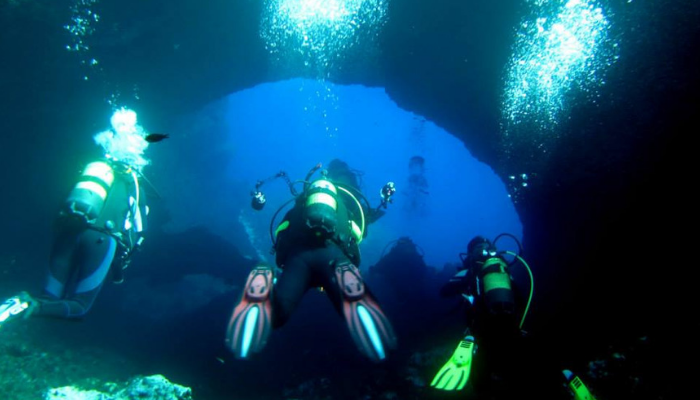 Arrange a day scuba diving and discover the abundant marine life or enjoy a leisurely afternoon appreciating the stunning coastline on a stand-up paddle board (SUP). The island offers a good selection of businesses and schools where you can find information about all the different water sports available. Many offer specialised services with trained and professional staff to teach any of these sports. Read more about the water sports there are available on the island here. If water sports aren’t your thing and you prefer activities on land, then why not go on a hike? The island covers an area of about seven hundred square kilometres, of which 42% is protected. Menorca is celebrating its 25th anniversary of UNESCO declaring the island a Biosphere Reserve. Hiking around Menorca is one of the main reason’s visitors come to Menorca and it’s no surprise why- there are over two hundred kilometres of coastline and a hundred or so idyllic beaches and coves to discover. The island is connected by an extensive network of footpaths and country lanes, which are both inland or along the coast. These trails are suited to different levels of experience. 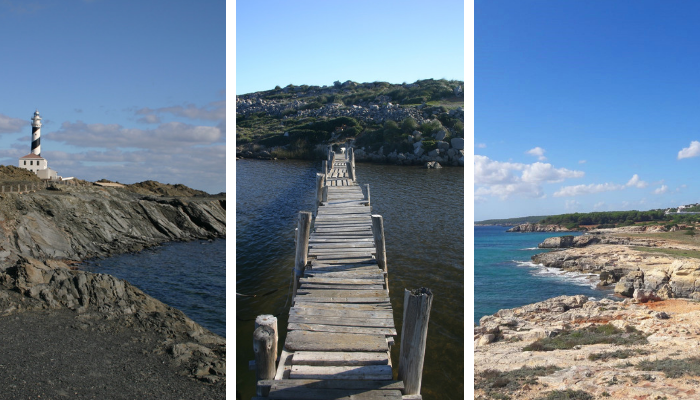 The best-known trail is the "Cami de Cavalls”, a 185 km path that circles around all of Menorca’s coast. 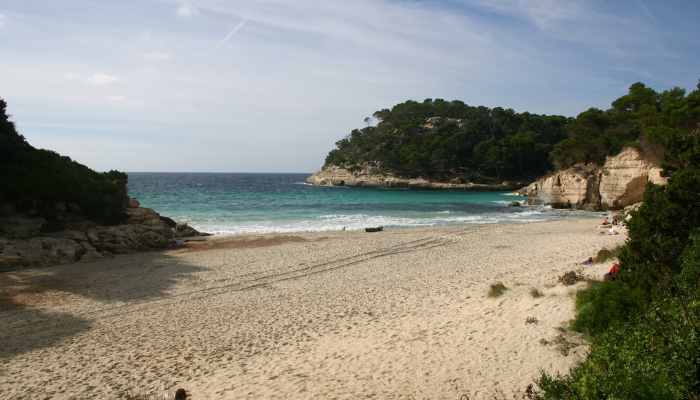 On these walk s you’ll discover hidden coves, wildlife and flora, lighthouses, ravines and streams. 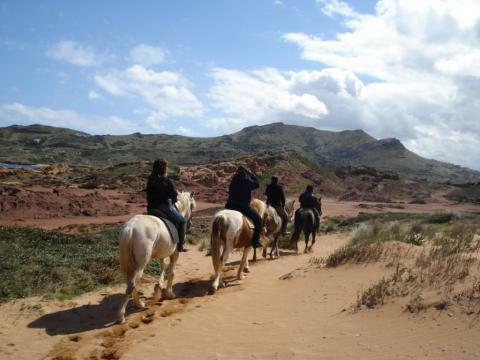 Every route you take is different and depending on where you are on the island, you’ll notice the geological wealth of the Menorcan countryside and the contrast between the south and north coast. Read more on our blog about walking here. Menorca may only be small but there is a great selection of amazing restaurants dotted around the island. Menorca’s food scene has grown through the years and with it, the theme of sustainability, which is very much espoused across many restaurants around the island: chefs using local and seasonal produce, ensuring that by conserving the islands agricultural economy, they are also conserving the island. Barracuda - Read our interview with chefs at Barracuda here. For a different type of culinary experience, visit the fish market (Mercado de Pescados) in Mahon which has been operating since 1927. Discover the vibrant and buzzing atmosphere and try the different local produce including hams, cheeses and wine. There are also freshly made tapas and snacks which you can enjoy with a delicious glass of wine in one afternoon. Menorca’s history has also played a big part of its gastronomy; traditional Menorcan recipes passed down generations are proof of the richness of local products and of how dishes have become part of today’s culture. Try some local Menorcan cheese or some sobrasada, local cured sausages, usually eaten for breakfast by the locals. Read more about Menorca’s local produce here. There’s nothing like going on holiday and buying some souvenirs but the ones you can find in Menorca are not your average souvenir. The arts and crafts tradition is thriving in Menorca and there are many of these that can be bought. One of the most popular is undoubtedly the " avarca” sandals. They started off being used in rural areas and then eventually became very popular summer footwear, even recognised internationally. Make sure you buy a pair of avarca sandals that have a label "Avarca de Menorca” ensuring they are authentic and guarantees quality and authenticity. Menorca’s history goes as far back to late second century BC and there are over 1,500 talayotic monuments around the island. There are up to fifteen different types of monuments registered, some of which are unique to the island. The name ‘ talayotic’ refers to the most significant building of that time: the tayalot. 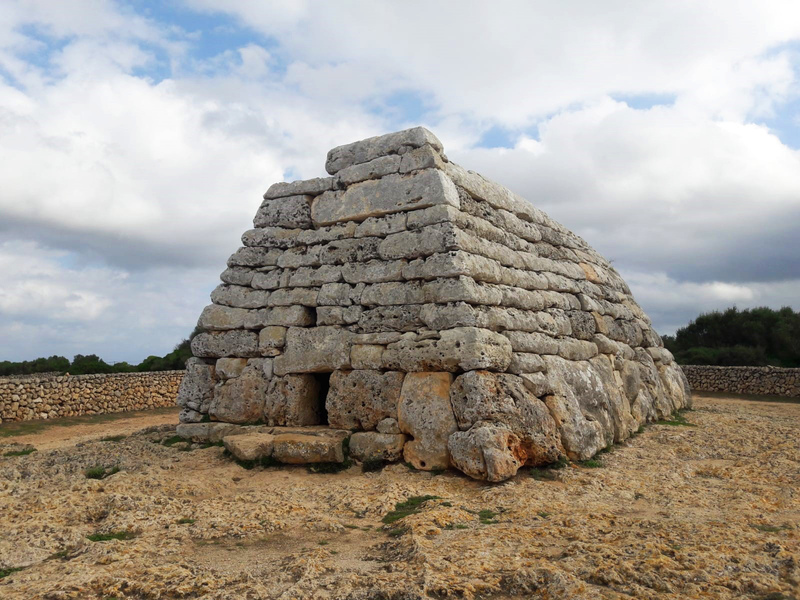 The talayots in Menorca were built with cyclopean masonry where very heavy stones were used but with no mortar. These monuments uncover the rich history of Menorca and are of great cultural value, opening our eyes to a different side to Menorca. Spend a day discovering these amazing monuments and learning about Menorca’s interesting past. Highlights are the navetas (burial chambers) such as des Tudons or Rafal Rubi; settlements such as Talati de Dalt, Torre d’en Galmes, Torretrencada and Trepuco; necropolises such as Cala Morell and Calescoves. The island’s main claim to fame is it’s alluring, crystal clear blue waters. You’ll find an array of beaches around the island, some suitable for families with many facilities whereas other beaches are more secluded, tucked away in completely unspoilt surroundings. Visiting the beaches on the north and south of the island, you’ll notice quite a contrast. 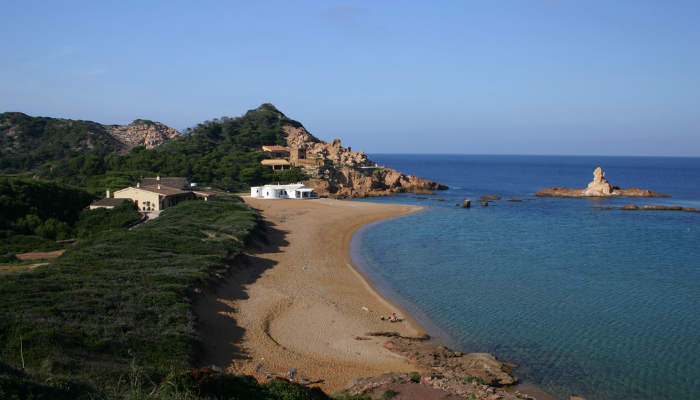 In the northern side of the island, the coastline is carved by the prevailing northern Tramontana wind. The sand on the beaches is slightly coarser and darker in colour. The rock formations of dark slate and red clay are very striking. The south coast boasts stunning white sandy beaches with pine groves and the sea is turquoise blue. 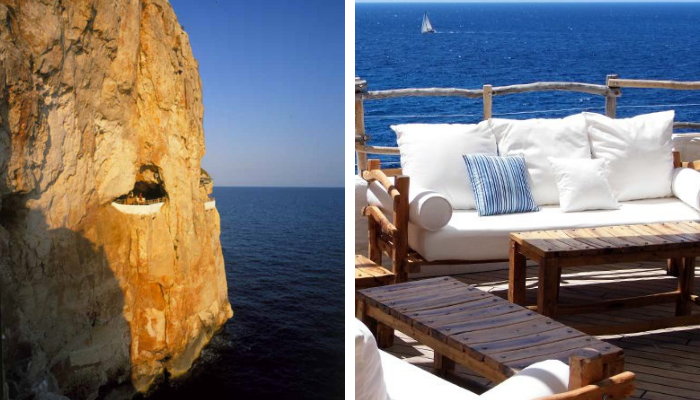 Enjoy a day or two exploring and lazing on the beaches around Menorca and spend some very deserved relaxation time. Menorca is blessed with some of the most amazing sunsets, and if you’re willing to wake up before the sunrise, head to Es Castell, a town near the capital of Mahon, which sees the rising sun in the whole of Spain; sunrise seen from here is breath-taking. At the other end of the island, there are quite a few places suitable for sunset watching, like headlands, beaches, caves and lighthouses. 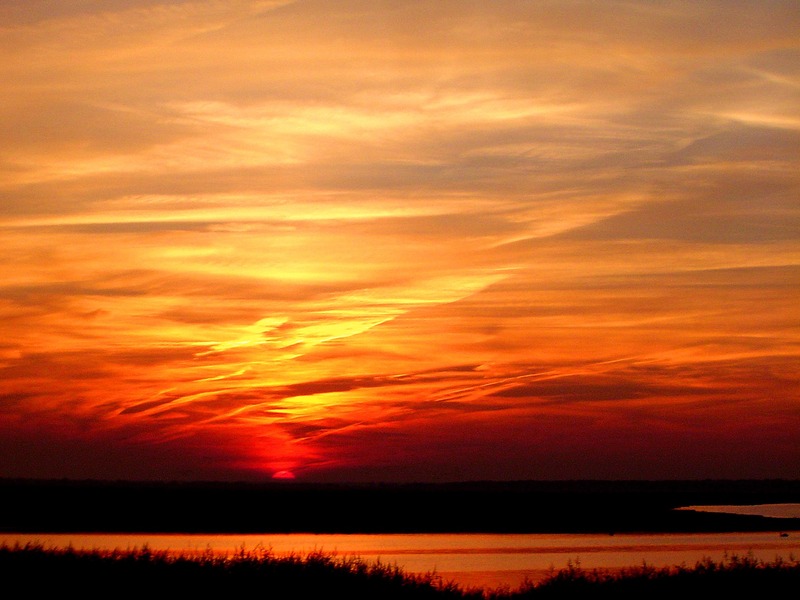 Punta Nati is an amazing spot to watch a jaw-dropping sunset. Other places we recommend going to watch a sunset is in the Artrutx and Favaritx lighthouses, Son Bou beach, Cales Coves, or Sant Nicolau tower. 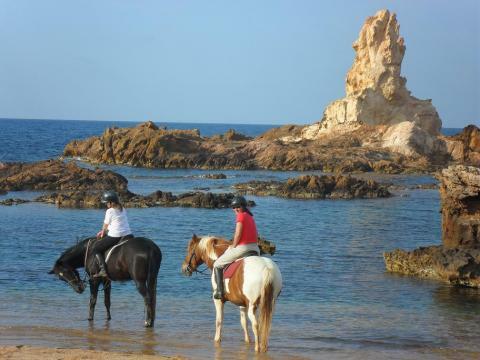 These 10 things are just some of the many activities there are to do in the beautiful island of Menorca. 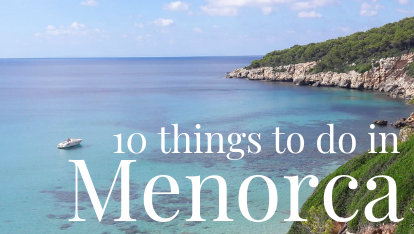 If you’re looking for somewhere with either lots to do or to simply relax, Menorca is definitely a destination to bear in mind when planning your next holiday. Just get in touch here and we can help you with your holiday plans from start to finish, we can even book some of these activities on your behalf!